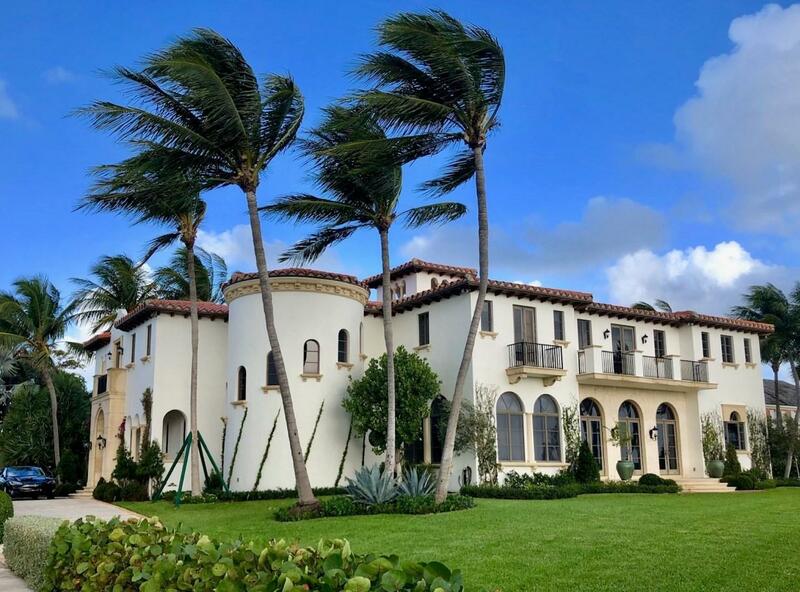 All West Palm Beach homes currently listed for sale in West Palm Beach as of 04/21/2019 are shown below. You can change the search criteria at any time by pressing the 'Change Search' button below. 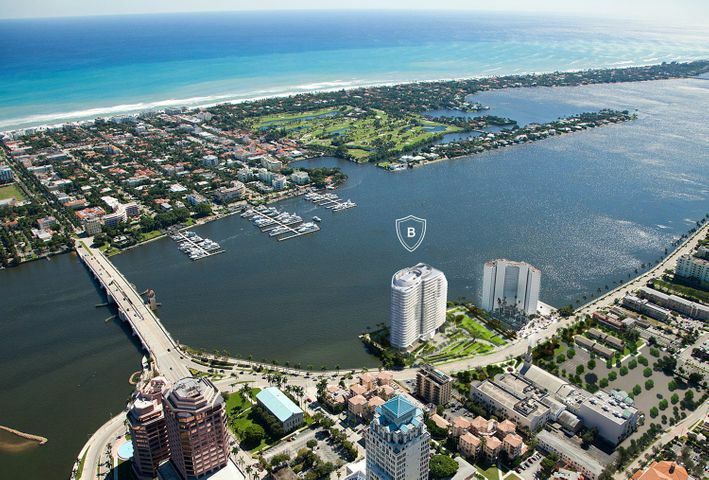 "Iconic 25-story new development with unobstructed ocean/intracoastal view steps from Palm Beach. 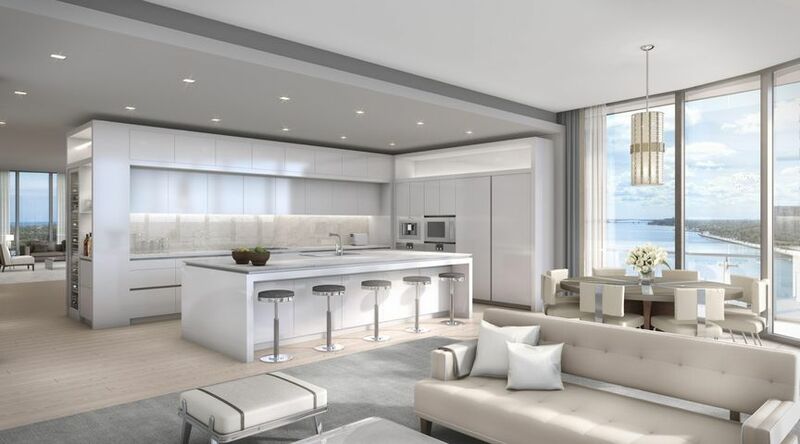 Flow-through residences offer dramatic ceiling heights, floor-to-ceiling glass, expansive balconies. Amenities include pools, salon, spa, gym, valet." "Brand new custom built waterfront Home - Completed September 2018, this estate home was designed and developed by The Aquantis Group. The house comprises 9,634 total sq. ft. of space, 7,758 sq. ft. of indoor and outdoor living spaces, and 6,629 of air-conditioned space, featuring: 6 bedrooms; 9.5 baths; a detached guest house, seven fireplaces; a library; a custom granite motorcourt; and a two-car garage with attached carport.Located in the historic El Cid/Prospect Park neighborhood, the property sits directly on the Intracoastal and boasts a new 100' long deep-water dock, a new sea wall, and a private beach. This ultra-luxurious island-style home is a perfect marriage of modern and transitional design and represents a harmonious blend of old and new." 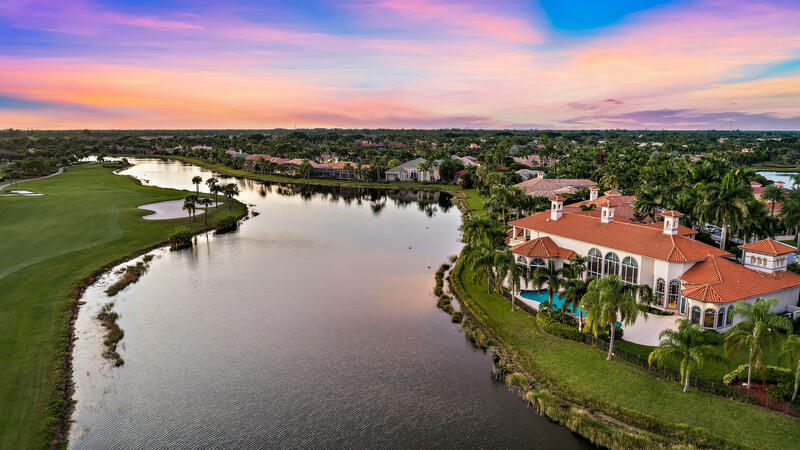 "The epitome of waterfront South Flagler living, this majestic estate will steal your heart with its awe-inspiring details and meticulous craftsmanship. Completely breaking the mold of the ubiquitous homes currently on the market, this luxurious residence offers one of the widest water-frontage sites available in the South End. 21 Internationally acclaimed designers, coordinated by the Kips Bay Decorator Showhouse (in support of the Boys & Girls Club of Palm Beach County and Kips Bay), have breathed new life into this grand, yet comfortable, retreat beyond your wildest imagination. This dynamic team completed a comprehensive redesign of the entire home in January 2019, far exceeding the typical remodel updates that you'd generally expect." 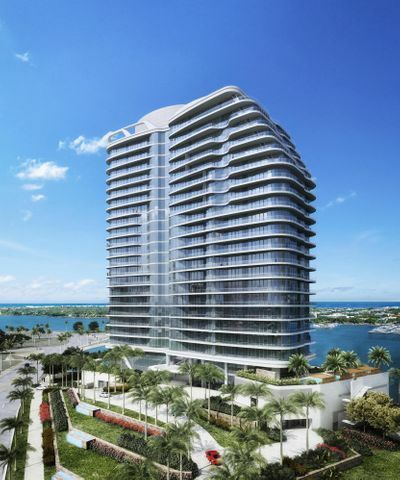 "Iconic 25-story new development with unobstructed ocean/Intracoastal views steps from Palm Beach. Flow-through residences offer dramatic ceiling heights, floor-to-ceiling glass, expansive balconies. Amenities include pools, salon, spa, gym, valet." "This Single Story pool home sits on one of two over an acre lot with 100 feet of intracoastal frontage on South Flagler. The expansive views of the intracoastal and Palm Beach Estate homes from the backyard are spectacular! This home was carefully updated with clean lines and great attention to detail. 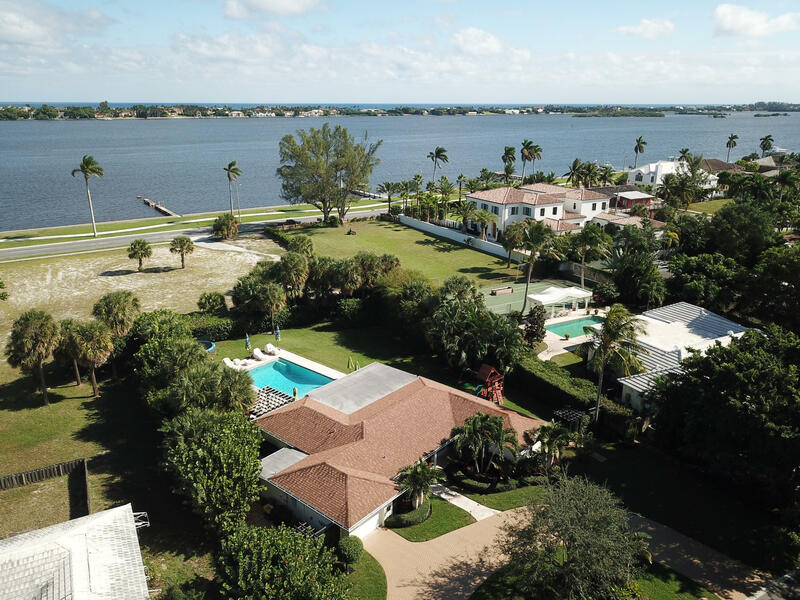 Live in and enjoy while you build your dream home on the half acre parcel on the front of the lot or adjoin this 1 acre lot to the adjacent lot for over 2 acres and over 200 feet of wide intracoastal frontage with expansive views of Palm Beach. Riparian rights are included with both properties. Minutes to the Palm Beach Inlet, Bath and tennis Club, Mara lago, beaches, Palm Beach, Worth Avenue, amazing restaurants and shopping and finally, PBIA. This is a once in a lifetime opportunity." "This Single Story home sits on one of two over an acre lot with 100 feet of intracoastal frontage on South Flagler. 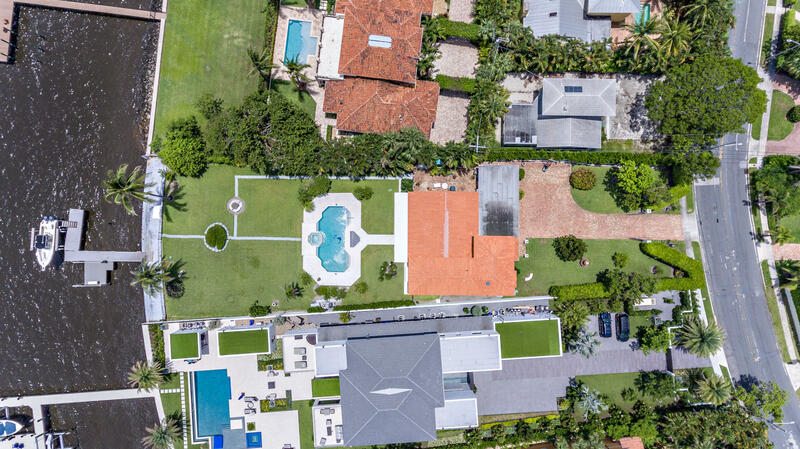 The expansive views of the intracoastal and Palm Beach Estate homes from the backyard are spectacular! This home can be renovated or torn down. 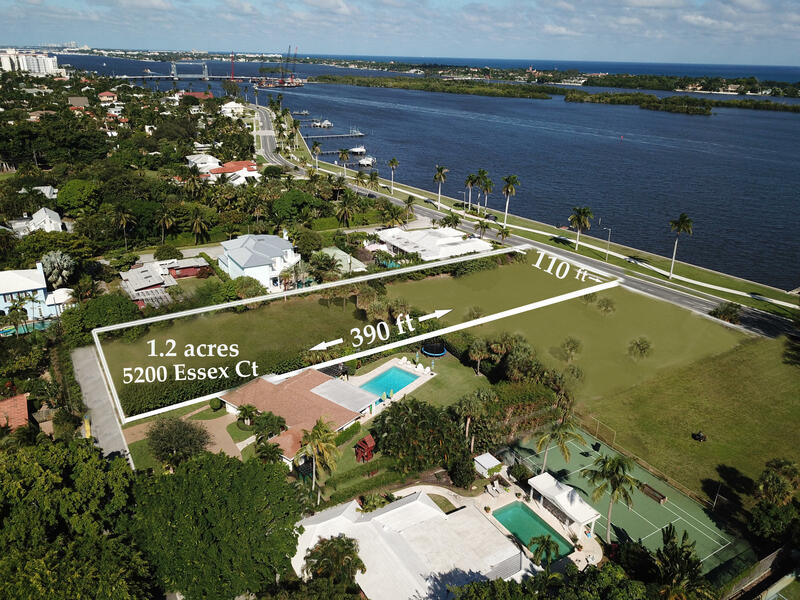 Build your dream home on the half acre parcel on the front of the lot or adjoin this 1 acre lot to the adjacent lot for over 2 acres and over 200 feet of wide intracoastal frontage with expansive views of Palm Beach. Riparian rights are included with both properties. Minutes to the Palm Beach Inlet, Bath and tennis Club, Mara lago, beaches, Palm Beach, Worth Avenue, amazing restaurants and shopping and finally, PBIA. This is a once in a lifetime opportunity!" "Enjoy expansive views of Palm Beach and the intracoastal waterway from this spectacular home on South Flagler Drive. 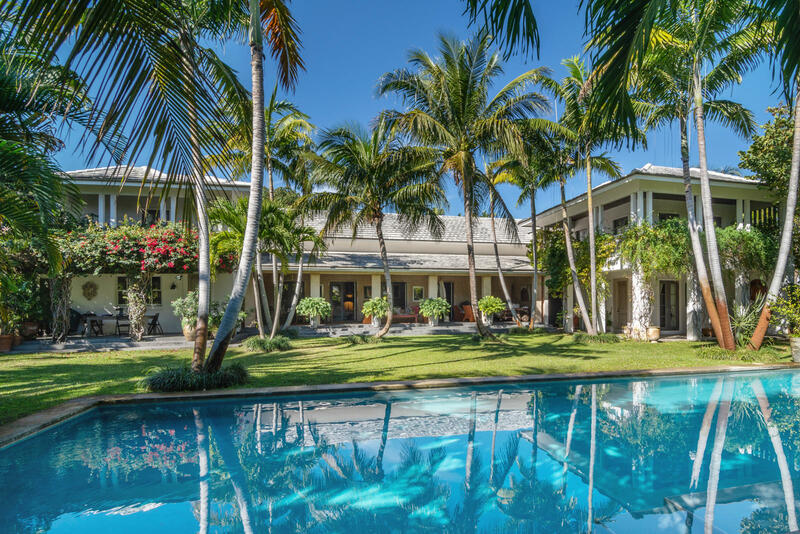 This recently renovated West Indies style home, with almost 3,000 sq. ft. outdoor living space offers spectacular water views from almost every room. The open floor plan is bright and airy offering a unique mix of indoor and outdoor living spaces. 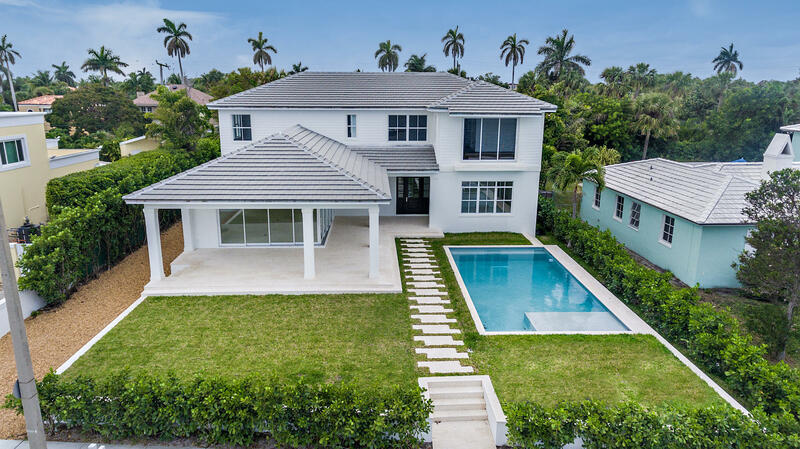 This West Indies style home offers five bedrooms, four baths, two half baths, full impact glass, high end appliances, high ceilings and a third floor playroom. Also a two car garage, deep water dock with two boat lifts, large swimming pool, and the finest interior and exterior finishes. On almost a half an acre corner lot, enjoy the lush tropical landscaping that gives this home a private compound feel. A must see!" "Bamboo Hill is the spectacular estate designed by the renowned designer, Lars Bolander. This magnificent Plantation-styled house has been published in Architectural Digest, Veranda, The New York Social Diary and several interior design books. The double height living room has French doors opening to expansive terraces for the ultimate outdoor living and entertaining experience. The garden is private and abounds with lush tropical flora, truly an exotic retreat. Bamboo Hill includes three guest bedrooms and a large master suite overlooking the garden and pool. The superior Kitchen is for the serious chef with commercial appliances, butler's pantry, and luncheon terrace. The double lot has two guest houses and a separate pool house for entertaining." "Never before available - Trump Plaza Grand Penthouse Number One. Soaring ceilings, unrivaled views, almost 4,000 square feet. Luxury, privacy and top of the line building services. The best of the best." 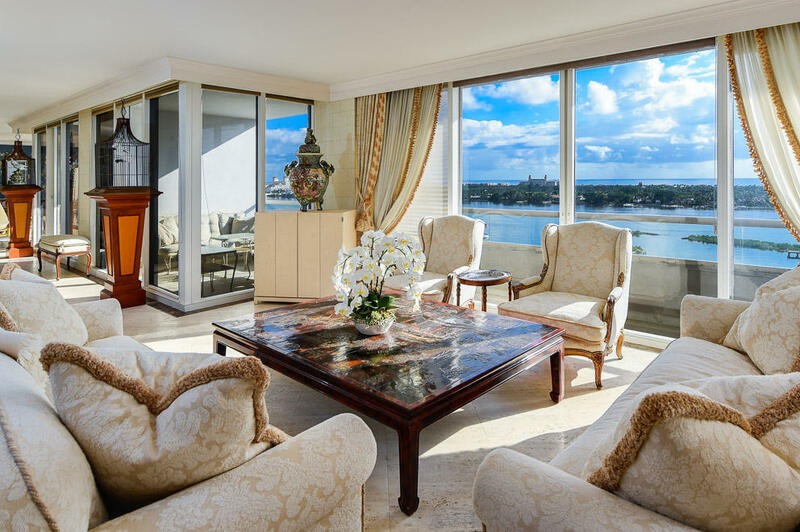 "Designed for today's sophisticated lifestyle with breathtaking views of the Atlantic Ocean, Intracoastal, and the beautiful Island of Palm Beach, this magnificent apartment on the 15th floor of luxurious waterfront Trump Plaza is unique in every aspect. Opening off the foyer is an elegant and spacious living room overlooking the water. Adjacent to the foyer is a bright, cheerful library with a cozy sitting area. The living room opens to an inviting formal dining room with water views, 5 bedrooms, each with ensuite baths, are tucked away to the west where Florida sunsets create a peaceful feeling. This is a triple unit which has been reconfigured in to one exquisite apartment." "First time on the market in over 30 years. Rare opportunity to own the largest three-story townhouse with views of the Intracoastal and Palm Beach. The apartment includes a private elevator, 3 terraces plus a balcony, entrances on the 2nd and 4th floor, over 8,000 total sq ft. Full service White Glove luxury building with 24 hr security, concierge doorman, valet parking, fitness center, board rooms, 2 swimming pools, tennis court, and a guard gate." "This stunning waterfront estate, designed by one of Atlanta's greatest Architects Henri Jova, is located in the very desirable South of Southern location! Unobstructed views of the intracoastal and shore line of Palm Beach. With just under 6,000 sq feet in total with 14' ceilings, this home offers views on both the first and second floor. Master bedroom and guest room offer over size windows that creates stunning direct views of the water. Beautiful gourmet kitchen with white marble, wolf stove and high-end appliances opens to a very large family room over looking the pool and Intracoastal. Brand new boat dock. Oversize garage, full house generator and hurricane impact windows. Enjoy the gated entrance giving the home a private compound feeling." 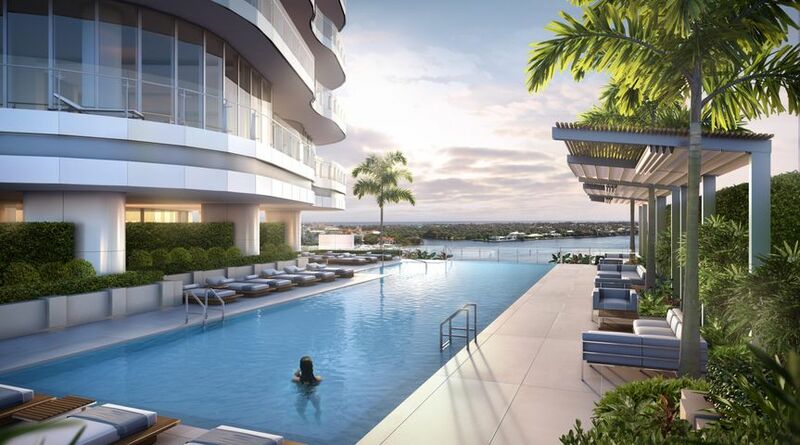 "La Clara - South Florida's most anticipated luxury condominium. 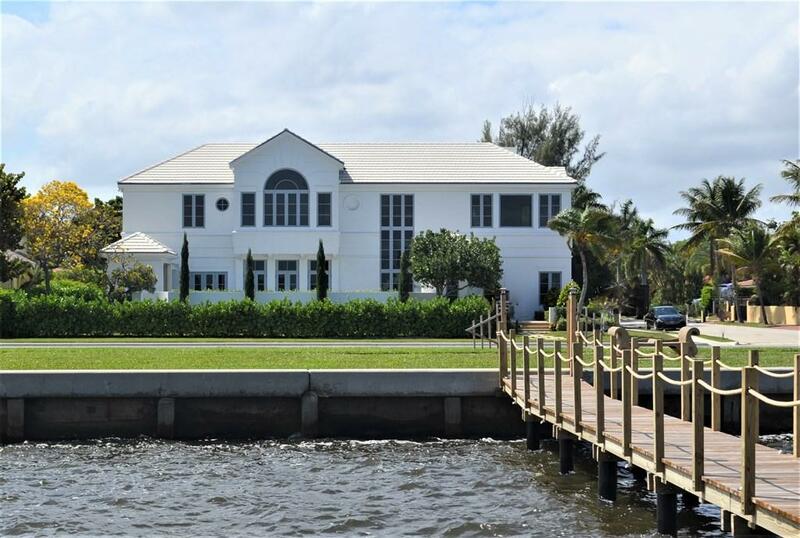 This gracious 3BR, 3.5BA residence features 3,094 SQFT of open living space and breathtaking water views from every perspective. Residence 1704 will be delivered move-in ready with high-end finishes such as stone flooring, custom Snaidero kitchens, Miele appliances, gas range, recessed lighting and more. La Clara's carefully curated lifestyle program was designed to enhance the daily lives of residents and their guests by providing an array of resort-like services and amenities, all from the comfort of home. Developed by award winning developer- Great Gulf, in partnership with celebrated architecture firm Hariri Pontarini." 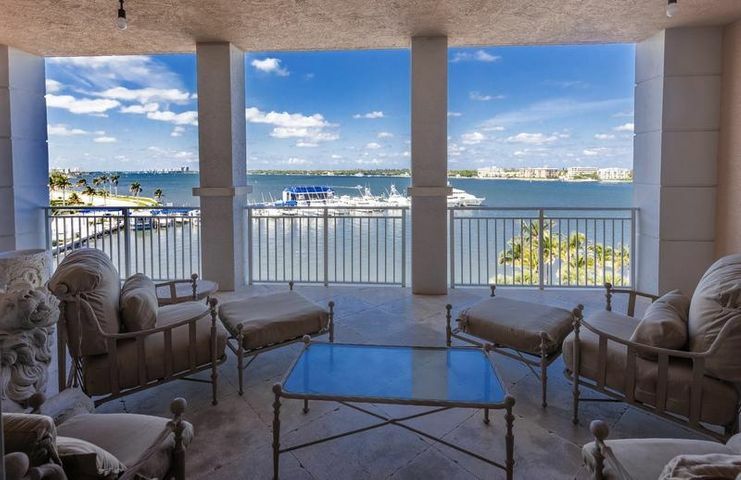 "Elegant 4 bedroom 4.5 bath with outstanding intracoastal views, yachts, and Palm Beach. Impeccable condition...Truly the best One Watermark has to offer...Two pets OK.. no weight restrictions!Neutral tones throughout this luxurious living space with gorgeous Paris ceramic stone floors, faux fireplace in living room, large open kitchen, gas fireplace in family room. . One Watermark is undergoing a total renovation... it will be the most luxurious building on South Flagler ... Walk to the Yacht Club... rent a boat slip, enjoy cocktails, lunch, and dinner! Best opportunity on South Flagler... new full service concierge building, with theater, gym, massage room, pool, club room, board room, guest suites for lease, concierge and valet." 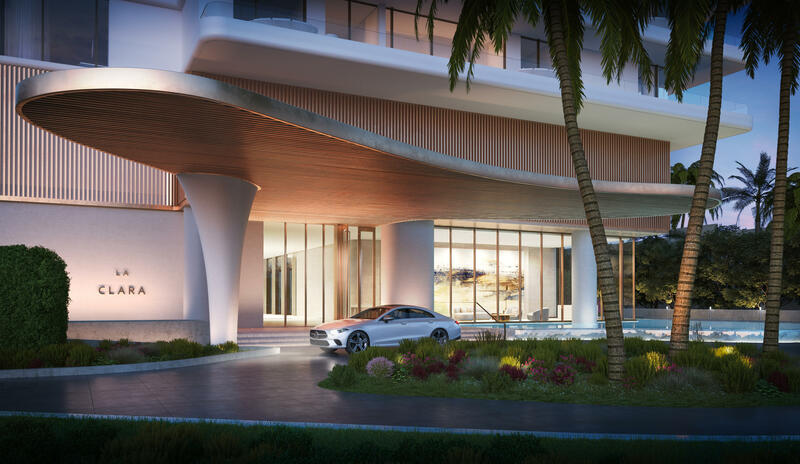 "La Clara - South Florida's most anticipated luxury condominium. This gracious 3BR, 3.5BA residence features 3,158 SQFT of open living space and a massive 1,153 SQFT wraparound balcony. 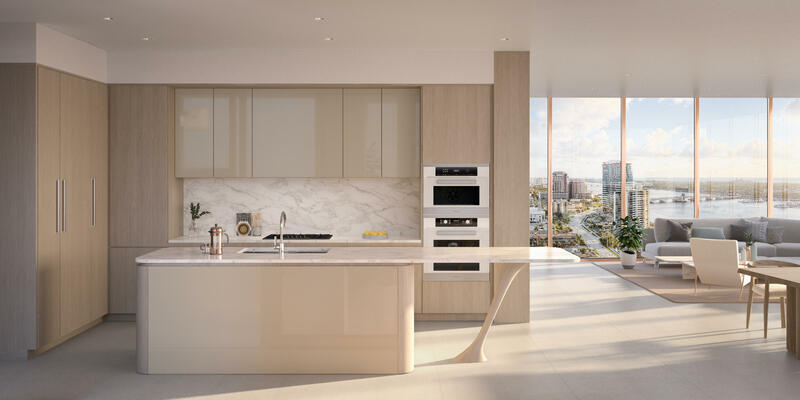 Residence 1801 will be delivered move-in ready with high-end finishes such as stone flooring, custom Snaidero kitchens, Miele appliances, gas range, recessed lighting and more. La Clara's carefully curated lifestyle program was designed to enhance the daily lives of residents and their guests by providing an array of resort-like services and amenities, all from the comfort of home. Developed by internationally-award winning developer- Great Gulf, in partnership with celebrated architecture firm Hariri Pontarini." 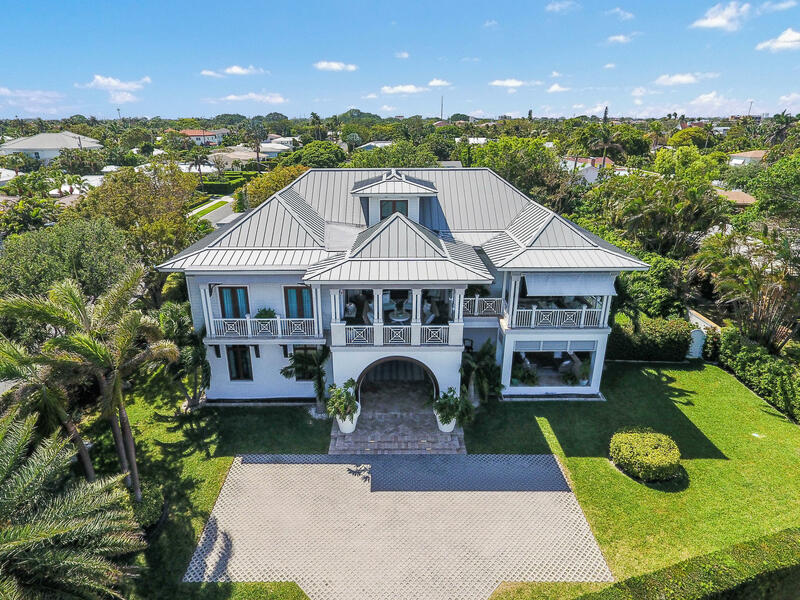 "DIRECT INTRACOASTAL- Boasting +/- 110ft of direct water frontage, this expansive 5 bedroom 4.5 bath home offers sweeping Intracoastal views from every room. Situated on a +/- 110x325 lot, this property is a prime candidate for a renovation or a brand new custom home. One of only 8 direct waterfront properties in Historic Prospect Park, this home has it's own private dock and boat lift and is fully gated with gracious set backs. Additional features include, a spectacular heated pool, 3 car garage, FULL HOUSE GENERATOR, and an expansive waterfront patio adorned with a custom awning. 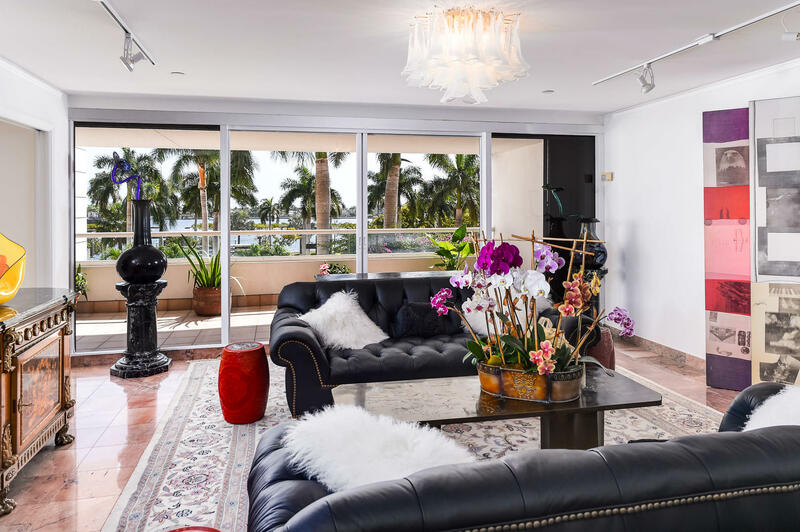 Enjoy it's close proximity to Palm Beach and Worth Ave. Boater's will appreciate the properties easy access to both the Palm Beach and Lake Worth inlets." 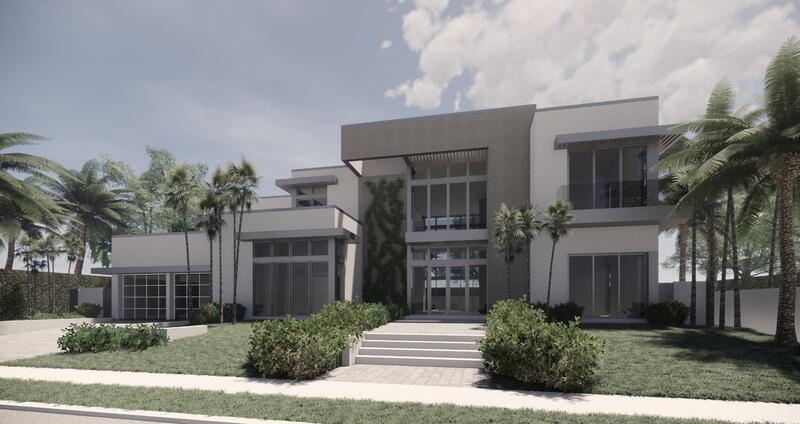 "Overlooking the Intracoastal Waterway, this magnificent new construction contemporary home incorporates 4,717 total square feet of living space with 4,088 square feet under air boasting 5 bedrooms, 5 full bathrooms and a powder room. 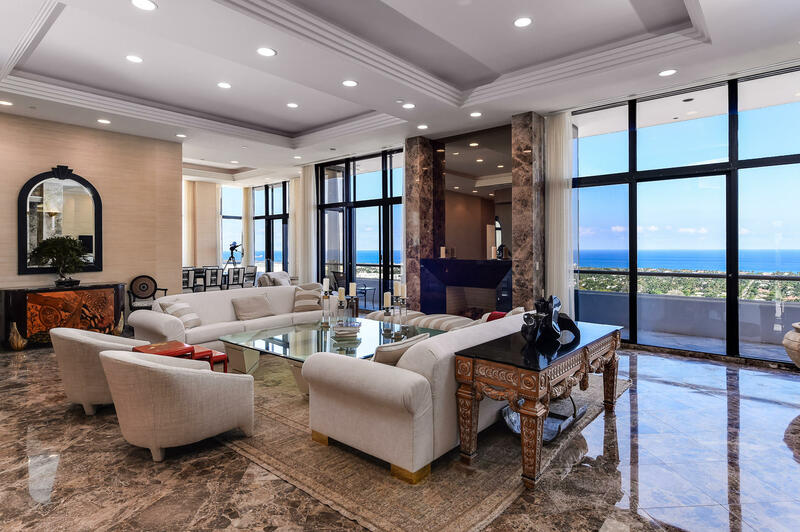 The open family living area incorporates quartz counter tops in the kitchen w/ high-end appliances, gorgeous limestone tile throughout and a large corner impact glass slider which highlights that breathtaking views of the Intracoastal Waterway & the island of Palm Beach. Upstairs, beautiful hardwood floors grace all living surfaces and you will be delighted by the homes grandiose master-suite which includes his & her bathrooms, walk through shower and 2 enormous walk-in closets. To sweeten the deal, this property is also equipped with a swimming pool, a dock"
"Villa Belmonte, a meticulously renovated 5BR/5.2BA Mediterranean gem is a show stopper on the outside and offers a winning combination for both formal and informal living on the inside. Offering the ultimate privacy behind manicured hedges & high elevation, this remarkable gated residence is surrounded by landscaped grounds & a stunning pool. An elegant covered entry leads you into an impressive foyer with pecky cypress beams and a stunning staircase. Highlights include an elevator, soaring ceilings, formal living room, dining room with panel moldings, den, large bedroom suites with walk-in closets, marble baths, and a gourmet kitchen alongside an expansive family room. Attached two car garage, impact windows & doors, smart home ready + staff accommodations." "La Clara - South Florida's most anticipated luxury condominium. This gracious 3BR, 3.5BA residence features 3,094 SQFT of open living space and breathtaking water views from every perspective. Residence 1104 will be delivered move-in ready with high-end finishes such as stone flooring, custom Snaidero kitchens, Miele appliances, gas range, recessed lighting and more. La Clara's carefully curated lifestyle program was designed to enhance the daily lives of residents and their guests by providing an array of resort-like services and amenities, all from the comfort of home. Developed by award winning developer- Great Gulf, in partnership with celebrated architecture firm Hariri Pontarini." "Wonderful opportunity to own and customize a highly desirable 4 BR 4.5 BA corner unit. Over 4,000 sq ft with North, East and West exposures. 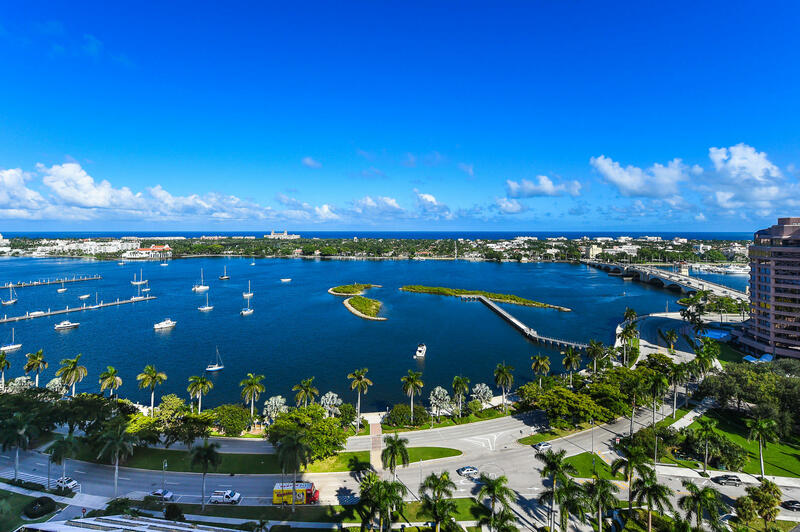 Ocean, Intracoastal and Palm Beach Island views. Full service building with 24 hour security, concierge doorman, valet parking, two swimming pools, gym, tennis court, close to shops, restaurants, etc." "Luxury modern home by Aquantis Group. 5400 sq. ft of living space with a beautiful 30 ft' pool and hot tub. Partial Intracoastal view from second floor. 4 bedrooms plus media room convertible to 5th bedroom. Dedicated office/library. 2 fireplaces. Wired home ready for automation and control. Developer expects home to be completed within 12-18 months. Prime opportunity to customize finishes."